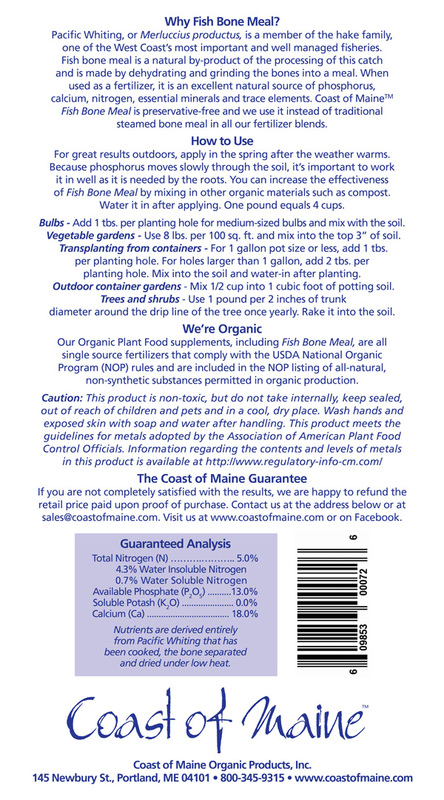 Coast of Maine’s OMRI listed, Fish Bone Meal Organic Plant Food is ideal for budding and blooming plants. 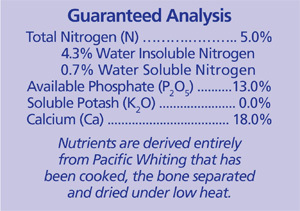 Made from Pacific Whiting bones that are dehydrated and ground into meal. 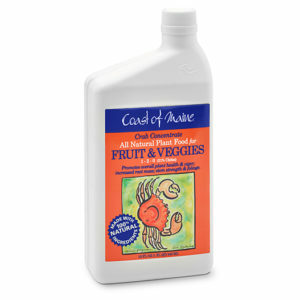 An excellent natural source of phosphorus, calcium and nitrogen. It is also preservative-free and a very effective alternative for traditional steamed bone meal. 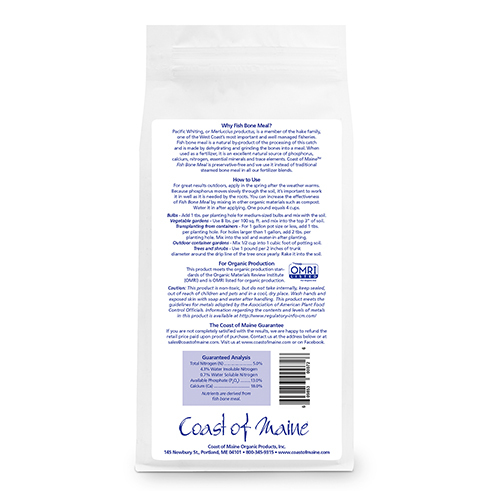 Available in 3lb bags. Pacific Whiting, or Merluccius productus, is a member of the hake family, one of the West Coast’s most important and well managed fisheries. 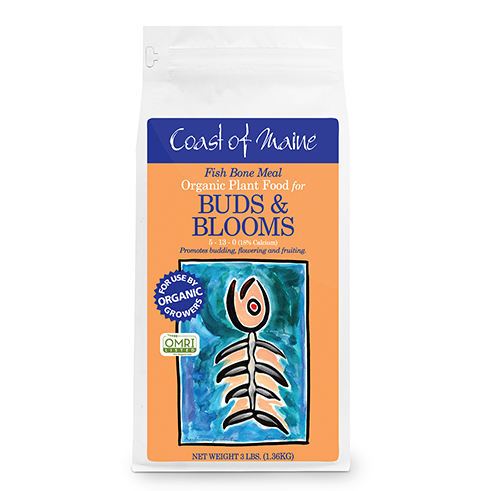 Fish bone meal is a natural by-product of the processing of this catch and is made by dehydrating and grinding the bones into a meal. 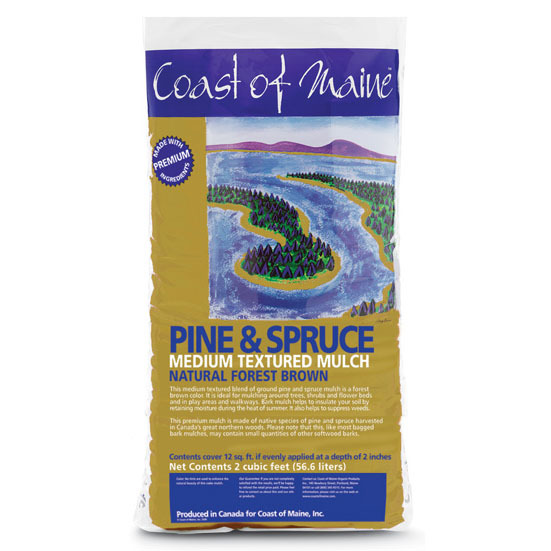 When used as a fertilizer, it is an excellent natural source of phosphorus, calcium, nitrogen, essential minerals and trace elements. 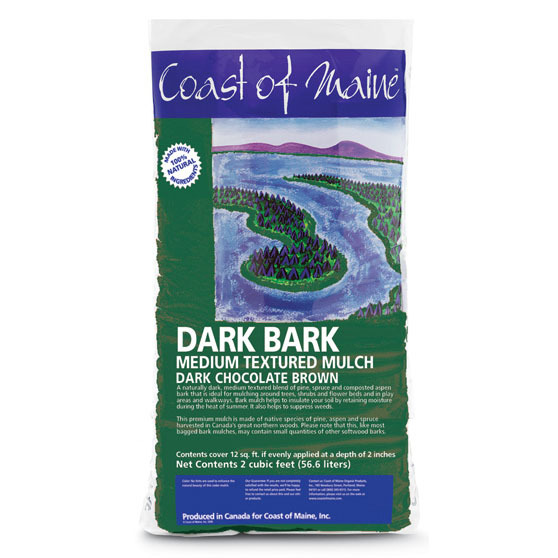 Coast of Maine Fish Bone Meal is preservative-free and we use it instead of traditional steamed bone meal in all our fertilizer blends. For great results outdoors, apply in the spring after the weather warms. Because phosphorus moves slowly through the soil, it’s important to work it in well as it is needed by the roots. 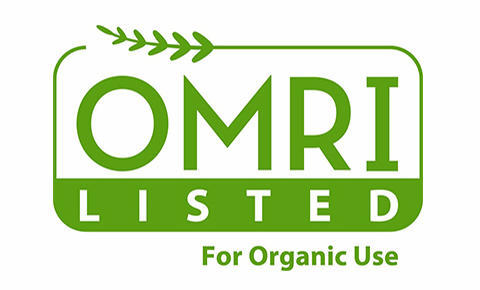 You can increase the effectiveness of Fish Bone Meal by mixing in other organic materials such as compost. Water it in after applying. One pound equals 4 cups. Bulbs – Add 1 tbs. per planting hole for medium-sized bulbs and mix with the soil. Vegetable gardens – Use 8 lbs. per 100 sq. ft. and mix into the top 3” of soil. Transplanting from containers – For 1 gallon pot size or less, add 1 tbs. per planting hole. For holes larger than 1 gallon, add 2 tbs. per planting hole. 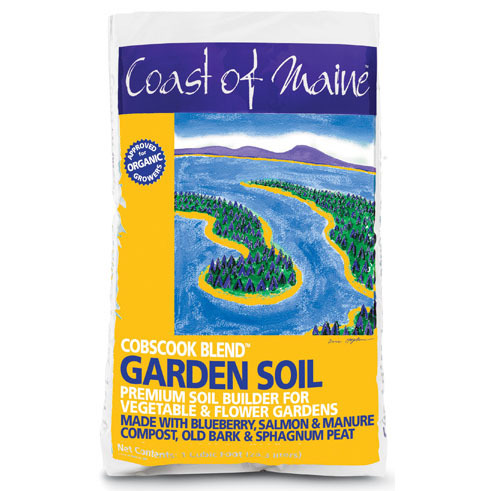 Mix into the soil and water-in after planting. Outdoor container gardens – Mix 1/2 cup into 1 cubic foot of potting soil. Trees and shrubs – Use 1 pound per 2 inches of trunk diameter around the drip line of the tree once yearly. Rake it into the soil.